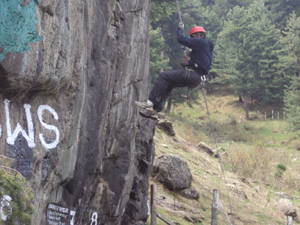 The syllabus is to be coordinated with training syllabus parallel to Basic and Advance mountaineering courses so that MO I trainees have practice of talking theoretical as well as practical classes of following subjects by use of training aids like slide show, black board, audio visuals, assessment techniques, assimilation / confirmation and motivation through different teaching methods. 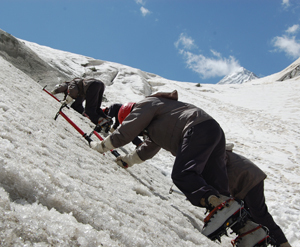 It comprising of use of mountain equipment in searching and evacuation of casualties in mountainous and snow bound areas including glaciers. Special equipments like avalanche victim detector (AVD), avalanche rod, avalanche cord, etc. 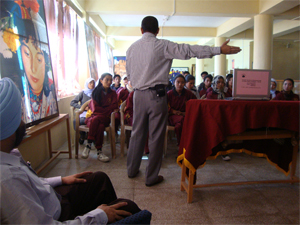 can be used during avalanche rescue missions and instructions on forming quick response avalanche rescue team (ART) are imbibed into the trainees.